Checking in fellas. I'm Cole and I'm from Alabama. I'll be hunting AL mostly and could possibly have a trip to South FL and the Midwest. Hopefully I can get one or both of those trips worked out. Checking in as well. I am Justin and I am from Oklahoma. I will be hunting in Oklahoma and Kansas and I hope to do a little traveling to somewhere new also. Nice to meet y'all! Ron here and I hail from Ohio. I don't know if I will hunt anywhere else but I will put a couple on the board. Alabama and Georgia this year. We are on the board fellas! Congrats Crenshawco. All nice birds, I have been having a hard time with the birds on my place this year. They were henned up when the season started and they ( the hens ) haven't started leaving them yet, should start getting better in a week or two. I think I an going to try Georgia this week and see what's happening over there. Killed another this morning. He's a 2 year old but he's missing one spur. How exactly does this scoring system work? Can he count toward another teammates birds if we have some who don't fill both of their birds? Do I need to upload the pics and stats on him? you may want to PM Gobbler and ask him. Congrats to both of you guys, nice job! I still haven't got to set foot in the woods yet. Season opens up a week from today in Oklahoma and Kansas so I will be hunting one or the other. Congrats again and keep it up! 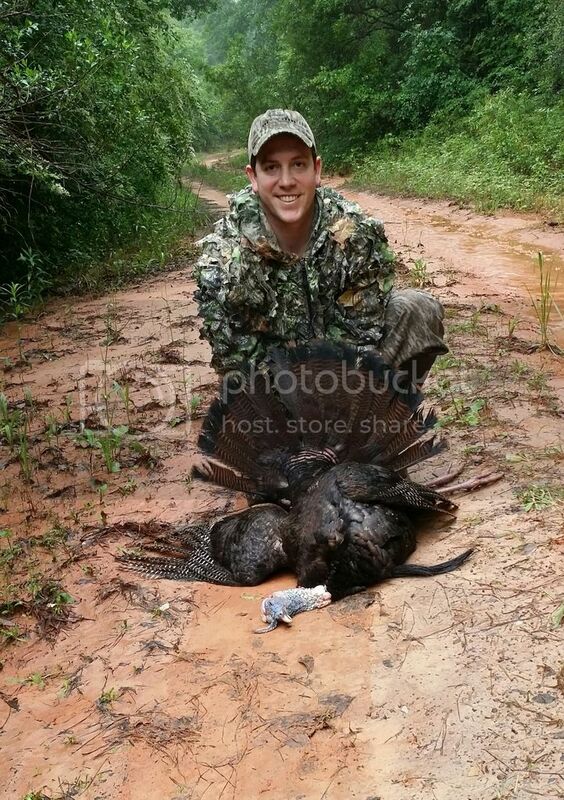 I killed my 5th bird here in AL this morning. No upgrade for me, but I've got pics and everything if we need him. How are y'all doing? Is everyone's season open now? 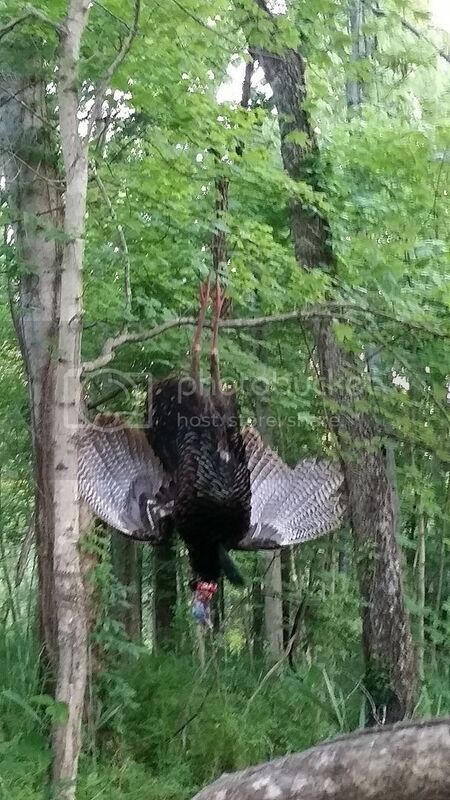 I have one nice Kansas bird down but I can't figure out how to get any pictures on here. I have tried several times from my phone and from somebody elses laptop but I can't get it done for some reason. Go to photobucket.com ot download the app and upload them there then you can load th here. Send me a pm if u have problems and we will figure it. I already put all the pics on Photobucket, the website but not the app. Will the app make it better or easier? 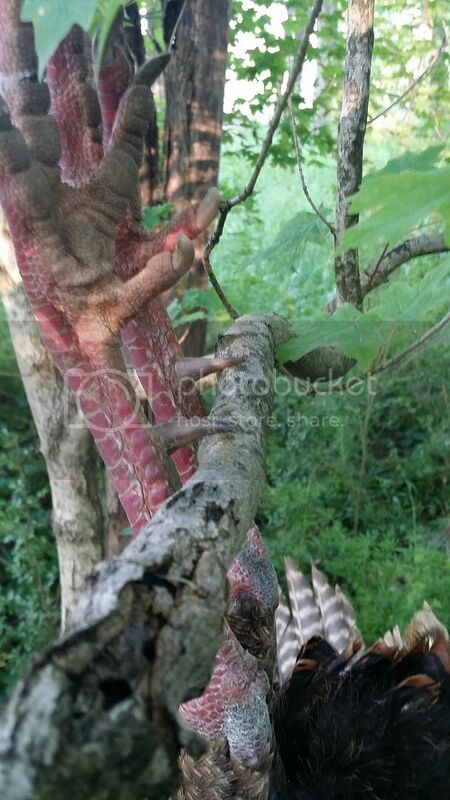 I put the pics on the gobblernation member picture galleries but I can't get them posted where I want them..... it says they are not in the correct size range. I tried photobucket and tinypic but no luck. Jhoutz, you should just be able to quote my post and copy the image tags in it. The way I did this is go to your member page where your photos are. Select the photo you want to post, and right click it. Once you right click it, go down to "Copy image URL." Then go to your reply or post screen and click the "Img" button. This will give you your image tag in your reply box. Then just paste the Image URL between the two IMG tags. Thanks for posting the pics for me Crenshawco. I don't know why I am having such a tough time with it. Upgraded this morning in TN. I'll get everything posted in the next day or two.